The protagonist of this evaluation is the highest match of Fenix ​​5X PLUS, titanium alloy plus sapphire glass and ADLC coating. At the beginning of August 2018, at the World Trade Center Garmin flagship store, I was very satisfied with the old F3, but F3 function is less, especially There is no heart rate measurement function, seeing so many new models, bite the teeth or decided to replace. On the left side of the first picture is the F3 that accompanied me for more than 3 years. I always wanted to buy an outdoor watch, hesitating between Suunto and Casio, Suunto’s Aimbit3, Casio’s PRX2500T are very good styles, but Aimbit3 has no color screen, PRX2500T Beautiful appearance, don’t worry about battery life, but the function is too small. I accidentally discovered F3 and felt that the color electronic paper from Sharp was really good. Since the release of Fenix ​​5X PLUS at the end of June, I have been hesitant to start, F3 is very good, call notification is very convenient, GPS and ABC functions are also outdoor tools, and the battery has no signs of attenuation. 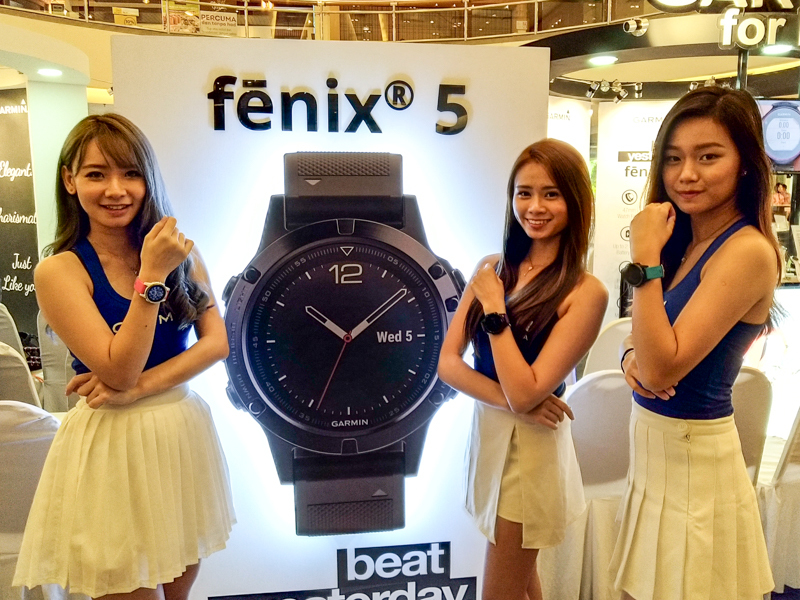 In contrast, the Fenix ​​5X PLUS function is powerful, and the weight and thickness are also greatly increased. F3 has no HR version 70g, thickness 15mm, Fenix ​​5X PLUS has reached 88g (titanium alloy version) / 96g (stainless steel version), 17.5mm. The price also reached 6680 yuan (stainless steel version) / 7980 yuan (titanium alloy version). [The following are the data of Garmin’s various models. You can refer to the purchase intention. 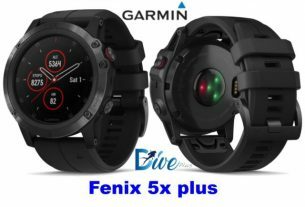 FR935: 49G/13.9MM, battery life 14D (watch mode) / 22HRs (turn on GPS); F3: 70G/15MM, battery life 42D (watch mode) / 20HRs (turn on GPS); Fenix ​​5X PLUS: 88G / 17.5MM, battery life 18D (watch Mode) / 30HRs (turn on GPS); IPhone 5S 112G]. In the actual wearing process, the biggest problem with this watch is that it is also in size and weight. The comfort is lower than the Casio titanium mountaineering watch, which is almost the acceptable lower limit. However, since the rubber strap is softer than F3, it is worn with F3 is half a catty to eight two, and it can be accepted for a long time. Today, the battery technology has not broken through, and only the MediaTek improvement process that hopes to provide Garmin with the SOC solution. I estimate that the F3 solution still uses the 28nm process, and whether the Fenix ​​5X PLUS uses 16nm is very doubtful. Only the process improvement, the demand for the battery is reduced, and perhaps the layout of components such as PCBs (learning Apple) can reduce the thickness of the battery, thereby reducing the size of the watch, 17.5mm is really unacceptable. From the appearance, Fenix ​​5X PLUS has a few more grooves, and it is more ugly than F3. Others are nothing. Personally, F5SP and F5S, which are aesthetically pleasing to women, look very elegant, but the function is too small, the battery life is too bad, and the price is not low. Men are not recommended to start. Functional aspects, still that sentence, very good and very strong, F3 is much stronger than Casio family, Fenix ​​5X PLUS more than the F3 photoelectric heart rate, blood oxygen saturation, map (I installed the national contour map), GPS correction altimeter , Garmin pay, offline music and other practical functions, except for the latter two are very powerful, Garmin pay does not support the four major lines (it is said that the four major thresholds are too high, Garmin can not get down at once), does not support the bus payment is It is hard, but since there is an NFC chip, I believe that this function can still shine through the continuous improvement of software. As for offline music. . . . This is Garmin’s hard-and-following with the Apple Watch. 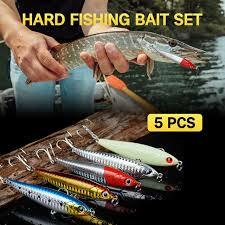 After use, it has a long-lasting effect, and the sound quality is pure and pure. Other shortcomings: Photoelectric heart rate module has material defects (should be resin material, is the material of SONY TV external screen), netizens reflect that it is easy to scratch, sanding, F5, Fenix ​​5X PLUS prototype seen in the flagship store has a lot of scratches Presumably, even if you are careful, the machine will be a virtue with the prototype after half a year; the GPS signal strength is average, but it is not too bad, the law is quite satisfactory; the battery life is very large, I use Garmin min (too lazy to verify the exact name) complex dial The heart rate is always open, often turn off the GPS for a few minutes, turn off from 11:00 to 6:00 am. In this case, you can drop half of the electricity in two days. . . . The screen has no improvement compared with F3, and even the viewing angle seems to be smaller than F3. The surface is not visible at a slight angle, and the backlight needs to be lit. What are the advantages of the best outdoor tent lights?